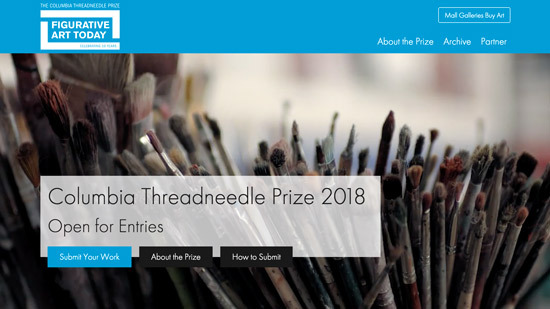 The Columbia Threadneedle Prize 2018 for the best new work of figurative and representational art launched today - however I was out and most of the rest of my week is committed with the BP Portrait Awards and exhibition reviews so I'll be reviewing the new exhibition website and doing my Call for Entries post a little later. You don't need to worry - the deadline for entries is 22 September 2017! Threadneedle Prize 2012 - the Award Winners - when Ben Greener won. Who's made a mark on art #264?